I'm on the unlimited minutes and messages plan, but I'm unable to make calls or receive messages. 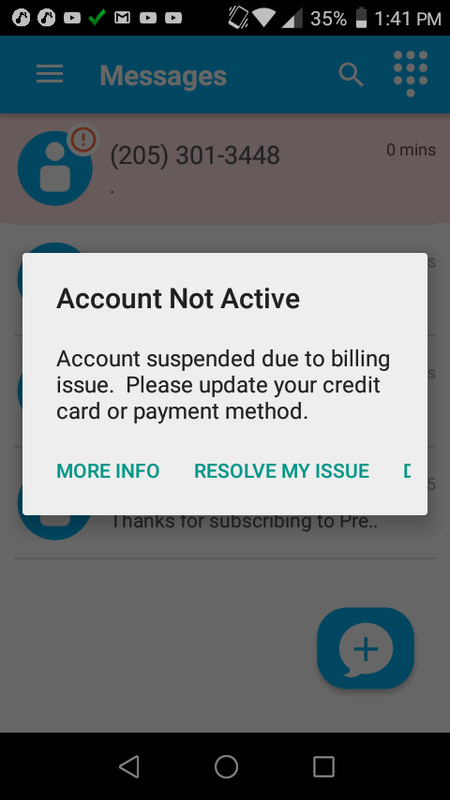 The message on my phone tells me usage has been suspended to add funds. Please help. @Catherine Ornelas Does your data work for you? If you have 100 MB or less of data left, and Top-up (Bottom of Billing Setting page) is turned OFF, then data is turned off until the next billing cycle begins. This is to protect you from going over your data limit in the 3 to 12 hours it takes Sprint to report data usage to your FreedomPop account. If top-up is turned on, the stoppage should not occur unless your account Billing payment information is incorrect or expired. Please check these factors and report your account status. If you turn on the Top-up, data usage may be restored in a few hours. After 24 hours, if data is still unavailable, please call customer service or contact one of the forum admins to reset the account. I was looking on my account and I haven't had service for 3 days. What's the problem. I have plenty of data/phone/text. Hello @Christopher Bustamante I see on your account that you were able to speak to one of our support agents, was your issue resolved? Hi! The email registered for your forum user shows several lines. Can you please confirm the last four digits of the line giving you this error? Our records indicate that line still has minutes to use. Have you tried any troubleshooting steps already? 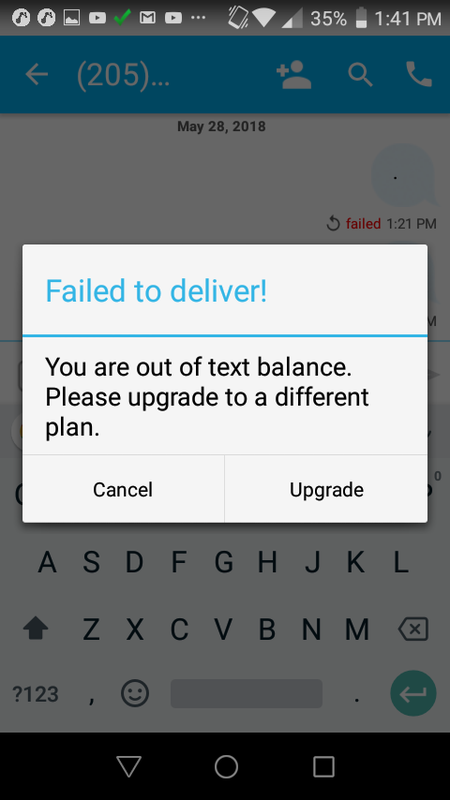 it is now hapenning with 3409 and 3448. it say im out of text balance when im unlimited, and my account is suspended to update my credit card when i already paid the unlimited this month. We are very sorry but your account is active on our end. Have you tried any troubleshooting steps already? Can you please forward screenshots? 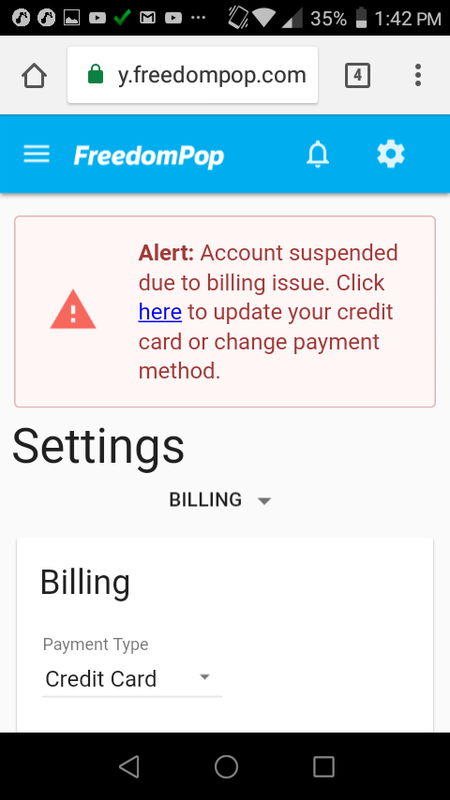 Even though you have unlimited talk and text plans, there are several due renewals on both these accounts, To reactivate, you need to update your billing information for the failed charges to go through.